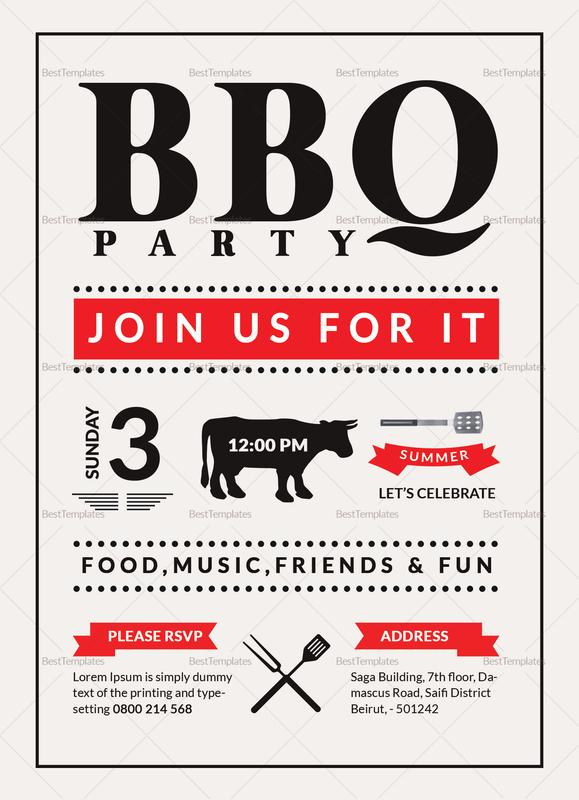 Make sure to have a blast with friends during your barbecue party. 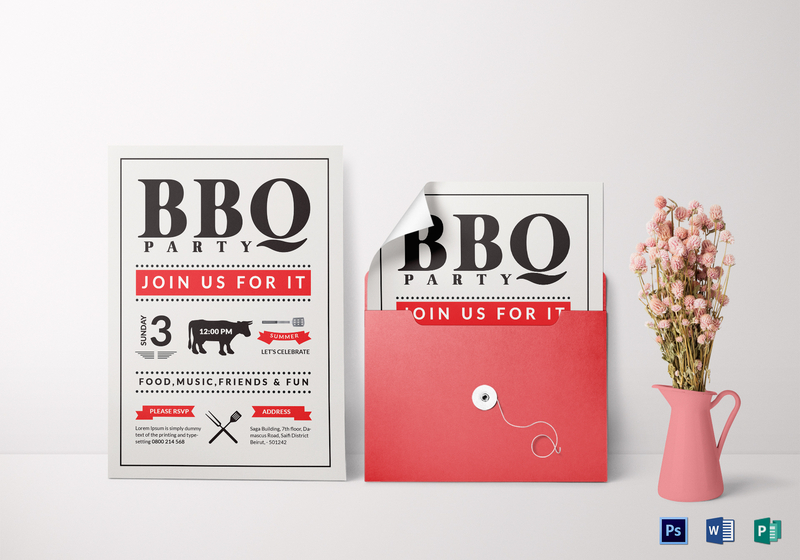 Invite them using our modern barbecue party invitation template. This template uses exceptional layout and graphic files. It is easy to edit and customize with all versions of Photoshop, MS Word, and Publisher. It can be saved on your PC or any mobile device.